The internationally recognized NMC Horizon Report series and regional NMC Technology Outlooks are part of the NMC Horizon Project, a comprehensive research venture established in 2002 that identifies and describes key trends, significant challenges, and emerging technologies likely to have a large impact over the coming five years in education around the globe. This volume, the NMC Horizon Report > 2014 K-12 Edition will examine emerging technologies for their potential impact on and use in teaching, learning, and creative inquiry within the environment of pre-college education. Johnson, L., Adams Becker, S., Estrada, V. & Freeman, A. (2014). 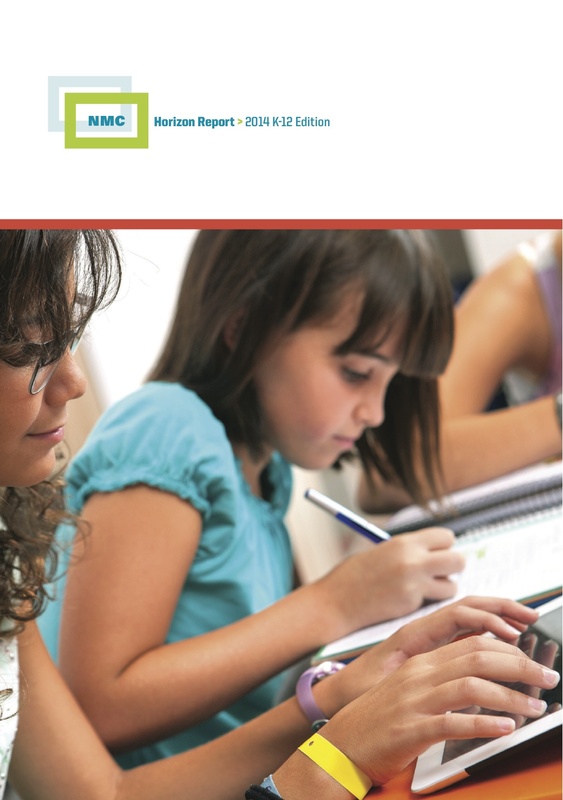 NMC Horizon Report: 2014 K-12 Edition . Austin, Texas: The New Media Consortium. Retrieved April 18, 2019 from https://www.learntechlib.org/p/147472/. © 2014 New Media Consortium. Permission is granted under a Creative Commons Attribution 4.0 International license. Implementing digital literacies: Do pre-service teachers instruct students in the same strategies that they utilize as digital learners? Educational Affordances of Digital Fitness Devices: Can We Leverage the Success of Consumer Wearables Into the K-12 Environment?